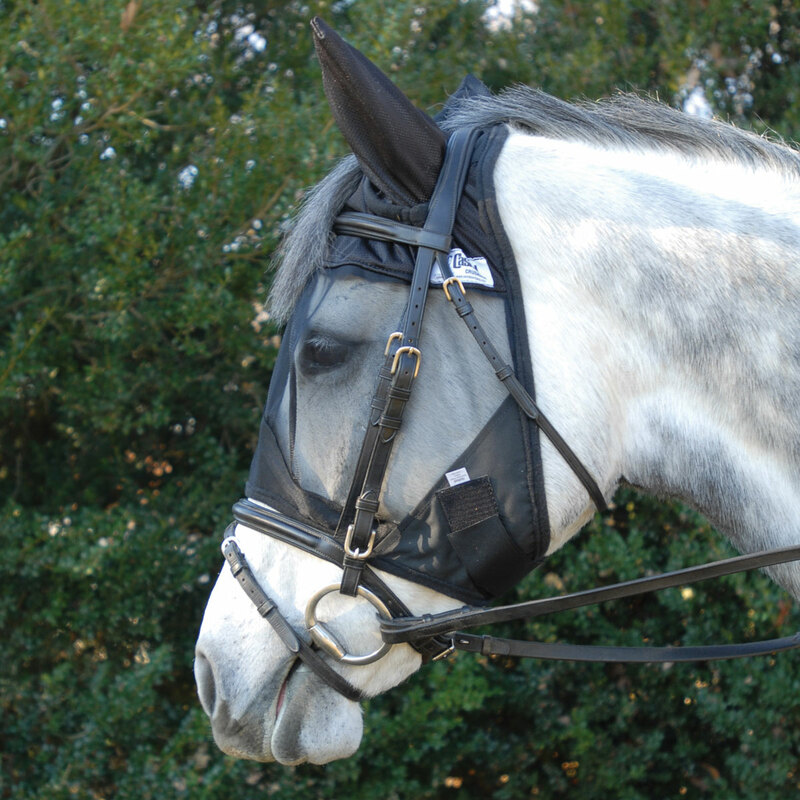 Allow your horse to relax with the Crusader Quiet Ride protecting his tender eyes and face. Eliminate insect-driven head tossing, with a much quieter (and safer!) ride. 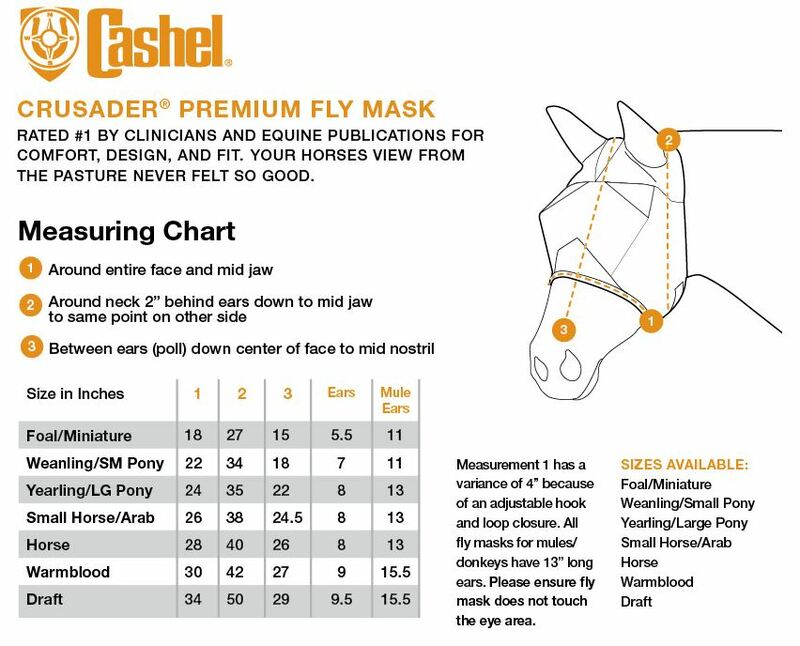 Cashel Quiet Ride™ Fly Mask w/ Ears is rated 4.7 out of 5 by 228. Rated 5 out of 5 by Cisco Kid from Perfect Mask for Riding My horse is having eye issues right now and keeping the flies off them is imperative. This mask fits the bill. 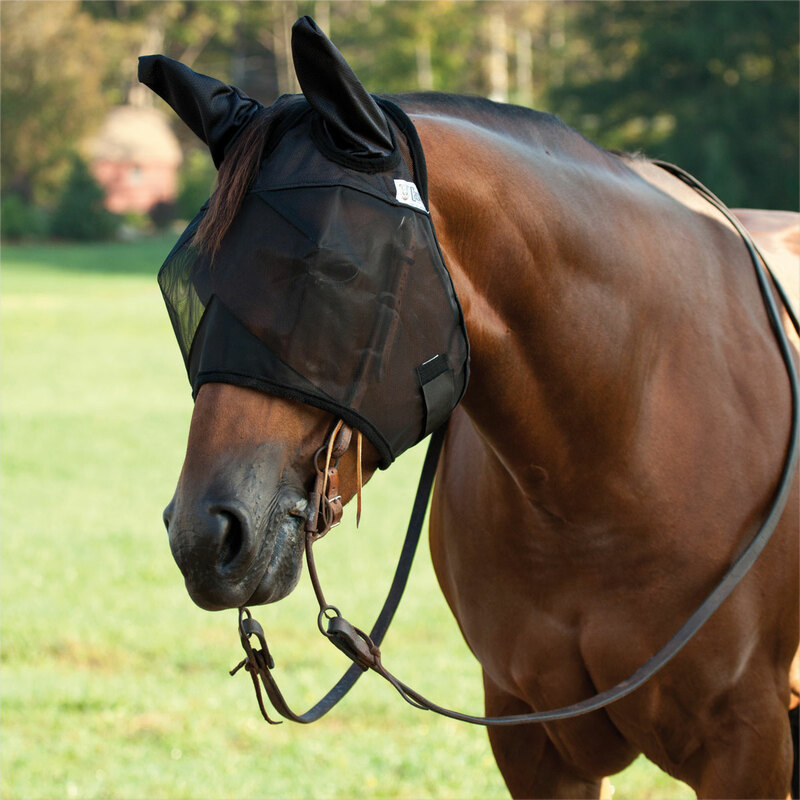 However, I will say that I do not know why SmartPak discontinued the Roma Stretch Bug Eye Saver with Ears fly mask. It is an awesome fly mask. Rated 5 out of 5 by Horseluvr5 from Great fir trail riding! I bought two of these for both of my horses for trail riding!! these are perfect!! Rated 5 out of 5 by Melissam from Great Fly Mask for Riding This has to be the best fly mask for riding. Not thick over the eyes like normal fly masks thin so they can see. Kept my horse happy on the trail. Rated 4 out of 5 by elle from Great for riding, not for turnout This mask is lightweight and would be a good option for a horse that needs a mask for riding. Not durable enough for turning out in. Rated 5 out of 5 by furbabies83 from Fantastic! The bugs really bother my gelding and were constantly interrupting our ride for him trying to get the bugs off. He seems so much happier and calmer wearing the mask. Its well made and seems comfortable. Just as a note it seems to run slightly smaller than the turnout masks. Rated 2 out of 5 by Scratcher from Too small for big-headed warmblood I ordered this to ride with during fly season. The mesh is clear enough for my horse to see through. I ordered the warmblood size, but it is too small. The fabric does not meet under his chin and it does not cover much of his nose. Rated 5 out of 5 by Cathymac from Fly off! Happy with this mask which I use when I ride. My horse is super sensitive to flys and was shaking his head. Now we are both happy! Rated 5 out of 5 by Mary Angel from Quality fly mask My horse had facial surgery last year and needs a fly mask that protects her fistulas. This fly mask covers it nicely. She does not ordinarily rub it off. Rated 3 out of 5 by Livetoride001 from Lightweight, not durable This mask is ok for riding, fits well over tack and it pretty transparent while still providing protection. My complaint is that it only lasted a week before it had a few holes in it. I will be returning this product and opting for the thicker fly masks that hold up to regular wear and tear!